PLEASE NOTICE: The extra Mapweather FIX is not needed anymore. It is already included in our mod. PLEASE NOTICE: the key K disables physical snow. longterm Tests are still missing. Please have a look at the Bugs section for things that can occour. Also Physical snw will always look different than the normal non physical snow. "Physical snow disabled" and "Gained" texts displaying in the upper left corner. Those are also not from physical snow but from other mods that are yet unknown to us and somehow do not like physical snow scripts. It want to explain here how the Mapfix works and why it is present. 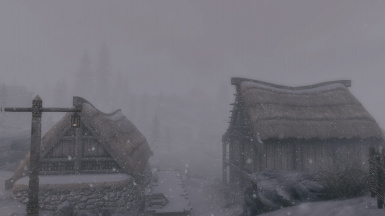 Without the Mapfix esp skyrim will not properly force the weather back when the map is closed. That means once you open the map during a snowstorm and close it without fasttraveling, all your snow particles will be gone. The map fix trys to reforce the weather as soon the map is closed. By forcing this, skyrim will rerender the particles. You will see how they will reappear. - further emitter optimizions to the physical snow. 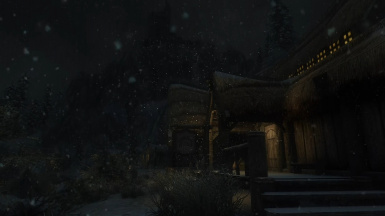 Enderal will require manual patch now as the script don't fully recognize all custom weathers. I get a Error by patching:, may you can help me with this. I installed it in the past but now TES5Edit has some trouble with the code. 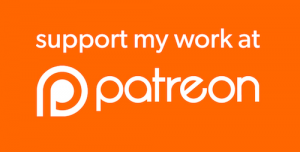 [00:00] Start: Applying script "Real Snowflakes Patcher"
[Vivid Snow Physical.esp] Adding master "Update.esm"
[Vivid Snow Physical.esp] Adding master "ClimatesOfTamriel.esm"
Hey, I got a quick question about installation. Should I install this mod before or after I make a bashed patch? Okay, I ended up installing this mod and I've run into some issues . When I tried installing the physical version, TES5Edit immediately gave me this error when I tried to apply the script. "Exception in unit userscript line 144: Error in unit 'userscript' on line 480 : 'end' expected but ')' found"
I can not install it. I did as the tutorial says. I installed TES5Edit and clicked Apply Script. But nothing has changed at all Snow. What did I do wrong? And how to uninstall, to try again? if you aplyd the script there must been a tons of information in the information window what had ben done or not. can oyu look at those? 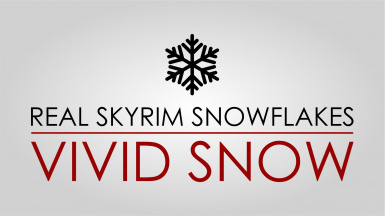 [Vivid Snow.esp] Adding master "Update.esm"
[Vivid Snow.esp] Adding master "Dragonborn.esm"
[Vivid Snow.esp] Adding master "Dawnguard.esm"
[Vivid Snow.esp] Adding master "Vivid Weathers.esp"
[Vivid Snow.esp] Adding master "ExpandedSnowSystems.esp"
If you don't see any errors then you are good to go. [Vivid Snow.esp] Adding master "AOS.esp"
I quit. I tried everything. I reinstalled Skyrim. I started new govo. Deletei old saves. It's nothing. Too bad, I wanted to use your mod. But enough. It worked. I do not know why. But this time it worked. is beautiful mod. will you make a real rain mod? looking forward to it. Is it possible to use Real Shelter only for Rain and Real Snow for the Snow? How? Am I missing an option in real shelter? get enb. It gets close in ways. The biggest is it removes the clipping issue, so buildings and trees provide cover. It works well with frostfall. 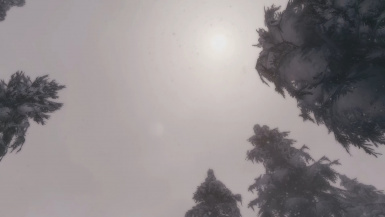 So Real Skyrim Snowflakes doesn't work with vanilla snow on SSE version right? I followed installation guide but there is no mteFunctions.pas on SSEdit. Edit: I found merged patch that contains mteFunctions.pas. Ran "Apply script" again but still got same result. Really like how Vivid snow sparking near light source. Thanks for your suggestion. 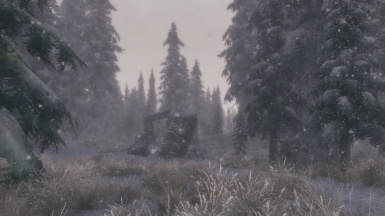 I simply just want to try on Vivid snow without using Vivid weather mod. 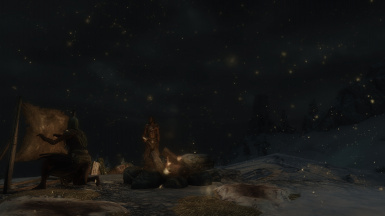 I'm really missing the sparkling snow around College of Winterhold. 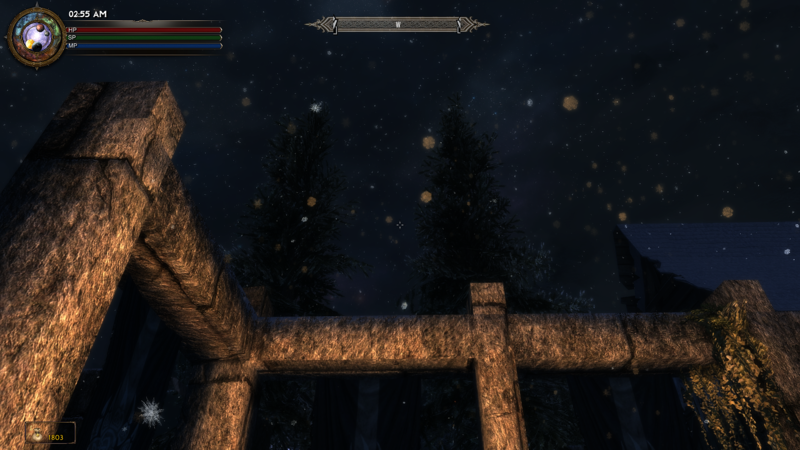 Especially I found Transparent Snowflakes that work with Vivid snow. I understand this part is unique feature of vivid weather so I couldn't ask for "stand-alone" snow version. 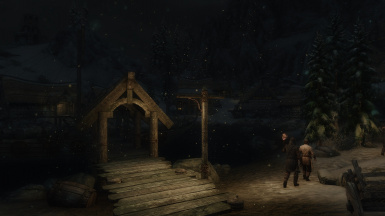 Used on screenshot - Obsidian Weather + Darker Night + Vivid snow aka Real Snowflakes + Dolomite Precipitation ( Better Snow Storm) + Ultra HD Transparent Snowflakes - No ENB. Hi, @Kwon77 can you tell me how did you managed to merge this effect in SSE. The script gives me an error. Yes, please share with the rest of us. Save the file. Follow the installation instructions of the mod as normal. Can confirm this method works with Obsidian Weathers and the results are OUTSTANDING. NOTE: Be the responsible modder and run the nifs in this mod through the optimizer prior to installing. They seem to optimize without issues and it's always best to make sure your nif versions are up to date to avoid CTDs and other issues. Does the ENB's rain occlusion works with this ? Not for me, with CoT V, VCaF, True Storms and Lightning. In my case, rain itself also doesn't work for 100%, most of the rain is gone but some light raindrops still come through stuff. 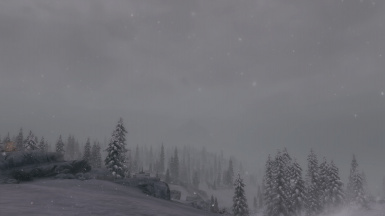 Don't know how this is with vanilla rain and snow though..
Is it intended that there isn't any snow in a radius about 5m (ingame estimation) around the player? And if yes, would it be possible to change it using TES5Edit? 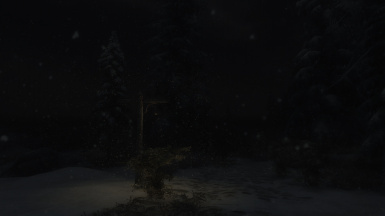 Pressing K on the keyboard enables and disables the snow, is this a debug feature? I just checked again and it does indeed do this. huh, he isnt lying. Line 32 of VividWeatherTrackerScript.psc - "RegisterForKey(37)"
I think the scripts should be compiled without that key binding because people may use it. intresting... a hidden undocumented debug feature yea you are right. So how do you change this? I use the K key a lot and i keep enabling/disabling the snow. Just want to throw my two cents in also, while having a hotkey available to toggle the snow on or off is great, I would -love- if it were configurable, since a bunch of other mods try to default to using "K" as well. Use tes5edit, find the key number for the key you want to mind, and update the .esp.